Workers in convenience stores have a seven times higher rate of work-related homicide than workers in other industries, according to the National Institute for Occupational Safety & Health. A recent NIOSH study suggests some steps store owners can take to prevent workplace violence. 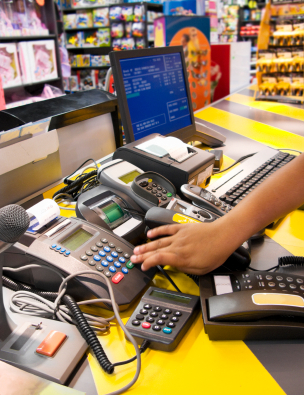 Robbery-related homicides and assaults are the leading cause of death in the retail industry. In a recent blog entry, NIOSH said convenience stores that use Crime Prevention Through Environmental Design (CPTED) programs have experienced up to 84% decreases in robberies and a 61% decrease in non-fatal injuries. Back in 2008, a Houston task force led by the mayor, a local convenience store owner and the Houston Police Department instituted a city ordinance that incorporated CPTED to reduce robberies by mandating security measures for store owners. Dallas soon followed suit and passed the same ordinance. compliance was lower among single owner-operator stores than corporate-owned franchise stores. inaccurate perceptions about safety on the job. NIOSH says these smaller stores should be targeted for more external assistance for health and safety. The smaller stores can also take low-cost measures to improve security, such as posting signage that states security cameras are in use and providing a clear view of the sales area. The blog post ended with a suggestion: Intermediaries, such as chambers of commerce and insurance companies, should reach out to smaller stores to provide business-friendly solutions to prevent robbery-related homicides.